Crockpot Spaghetti Sauce is a staple in our house. If it’s not in the fridge, there is a container of it in the freezer ready for another meal. 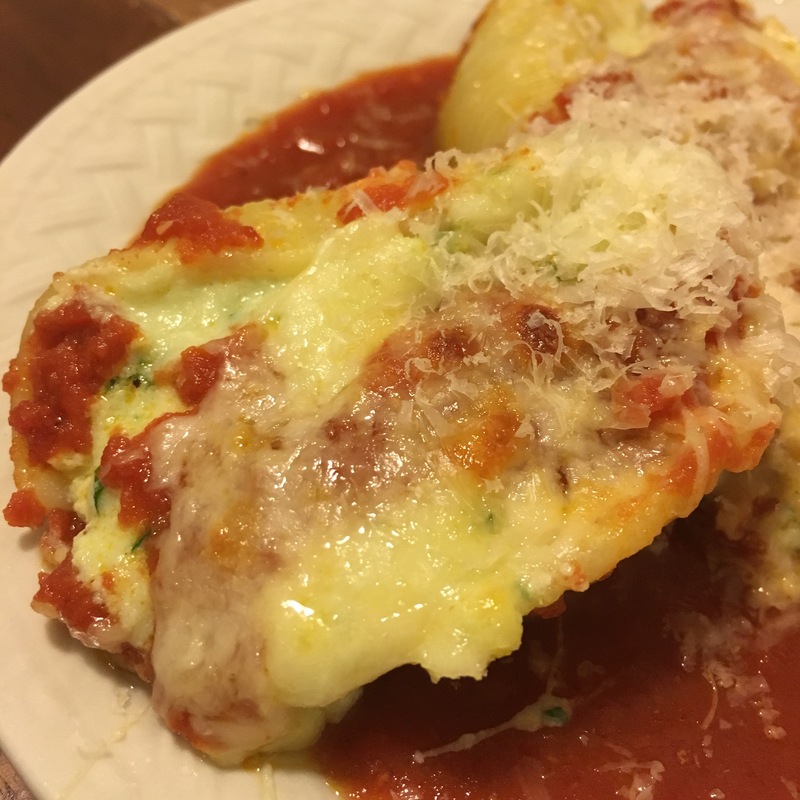 We use Spaghetti Sauce for everything from Cabbage Rolls to Baked Ziti and even Homemade Pizza. 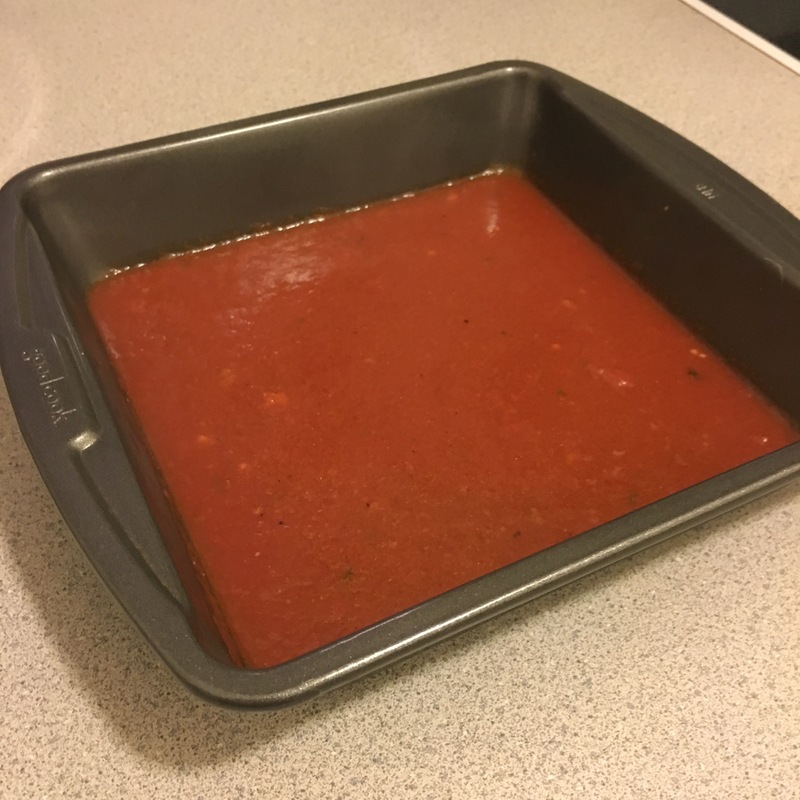 I use the Spaghetti Sauce every month in my Monthly Menus as it only costs about $8 to make, and you can get 3 or 4 meals from one batch! 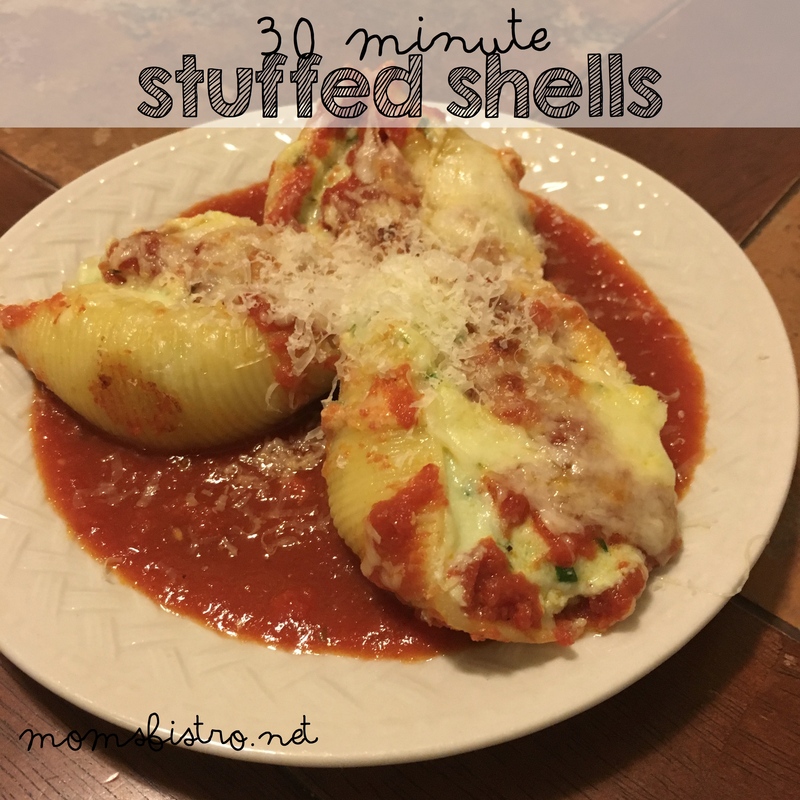 This recipe for 30 Minute Stuffed Shells is part of my December Menu and used leftover Spaghetti Sauce from earlier in the month. 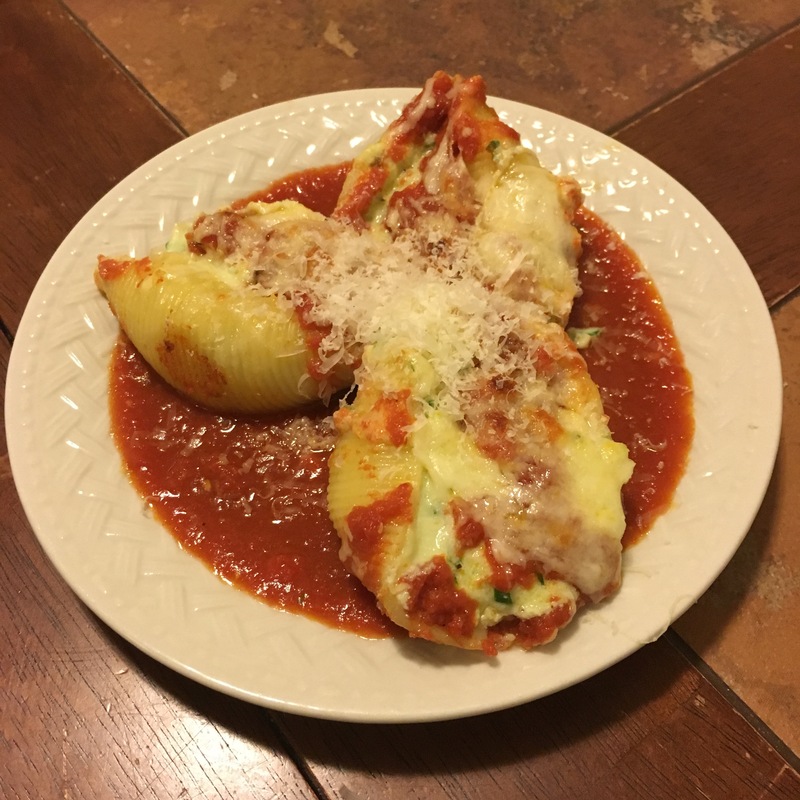 Stuffed Shells are soooooo easy to make, and use the same “pot cheese” as in other recipes like Baked Ziti and Lasagna. Best of all, this recipe makes enough to either beed a family of 6-8 or a family of 4 TWO times! 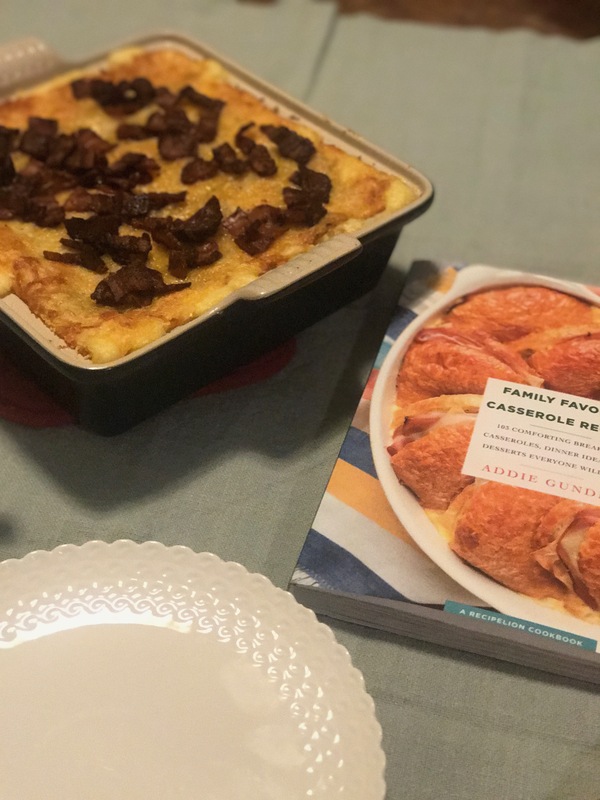 I made a full batch of this recipe, and got dinner with leftovers and then a whole other dinner worth that I froze four our first course at Thanksgiving Dinner. In our house, at Thanksgiving AND Christmas, there is always an Italian dish served before the traditional Thanksgiving dinner. It’s an Italian Thanksgiving, and not much beats that! 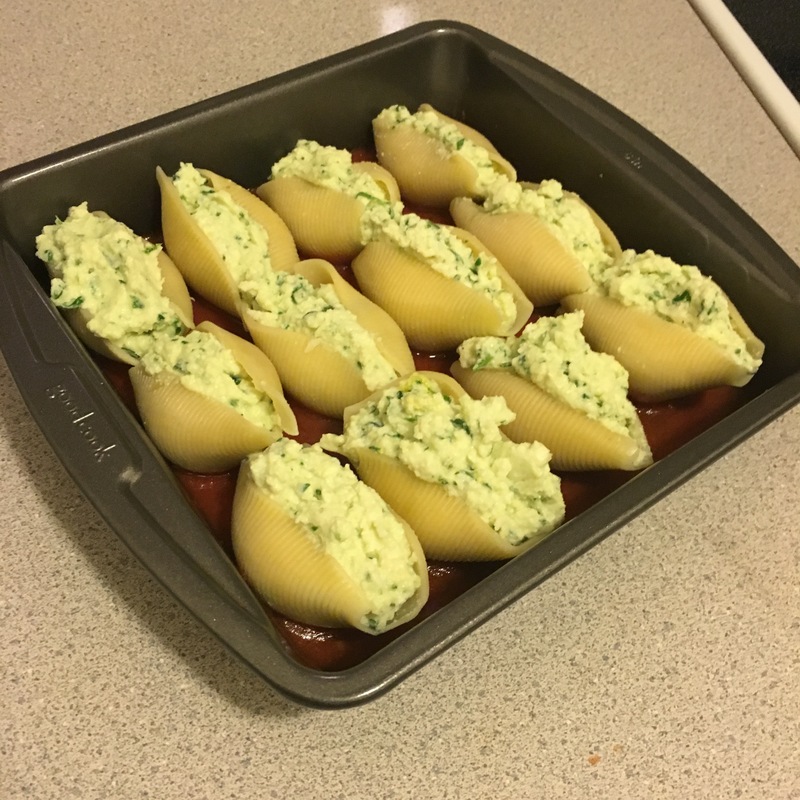 These Stuffed Shells can be made ahead of time and froze in a single layer on a parchment baking sheet, or even froze in a casserole dish, ready to bake. 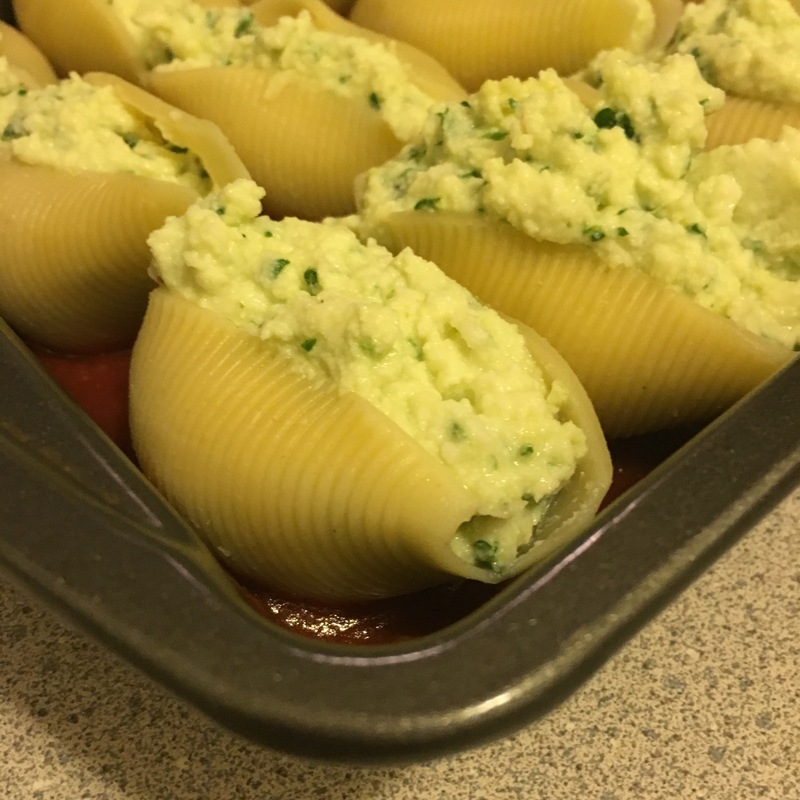 Stuffed Shells are a great weeknight meal, or even a meal for a friend who just had a baby, or needs dinner one night. The recipe will get both of you dinner, and you won’t spend a fortune since you’re using leftover spaghetti sauce. 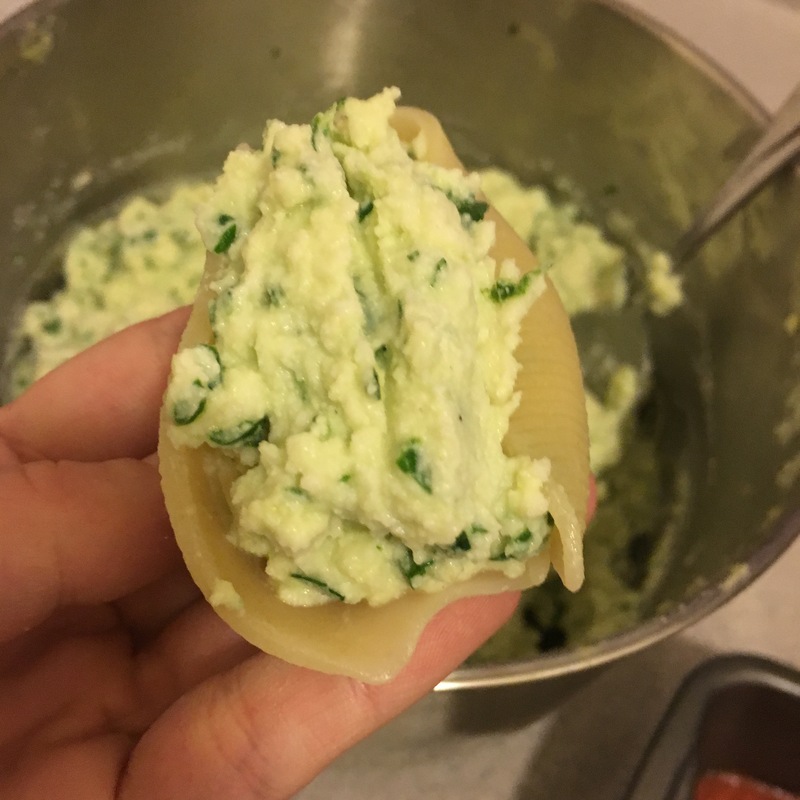 If you want, add some spinach into the pot cheese. 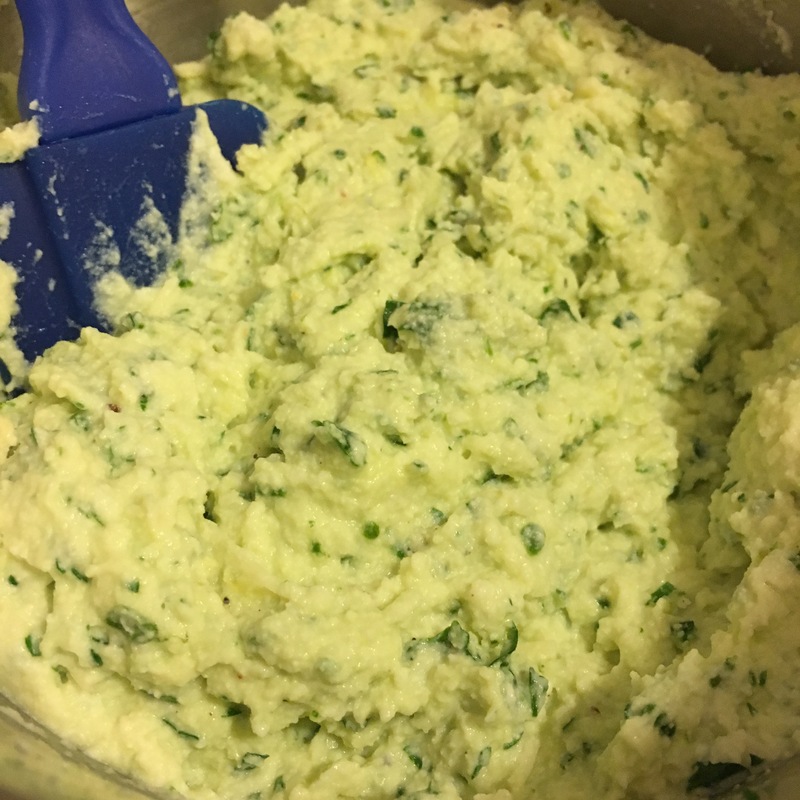 It looks just like the parsley one you run it through the food processor – it adds a ton of extra nutrition and your kids won’t even know it’s in there. The spaghetti sauce and the cheese mask all of the flavors of the spinach, so add some and sneak veggies into yet another meal! In a large pot of salted water, cook jumbo shells according to package directions. 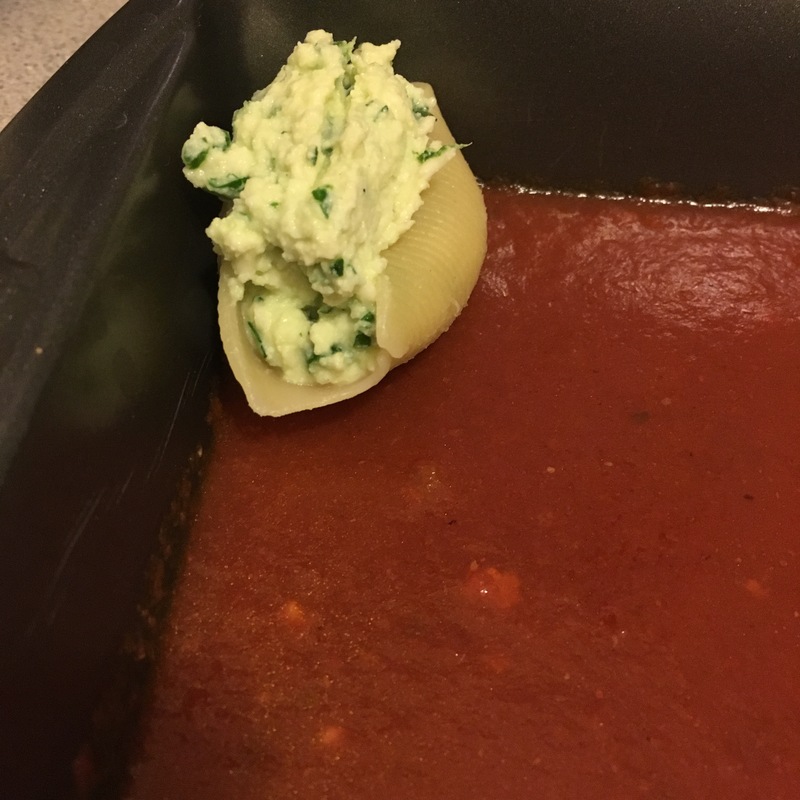 Drain in a collendar and about 2″ of water to the pot you cooked pasta in. Place strainer over the pot beside your working area. This will keep the shells warm so that they don’t stick together. 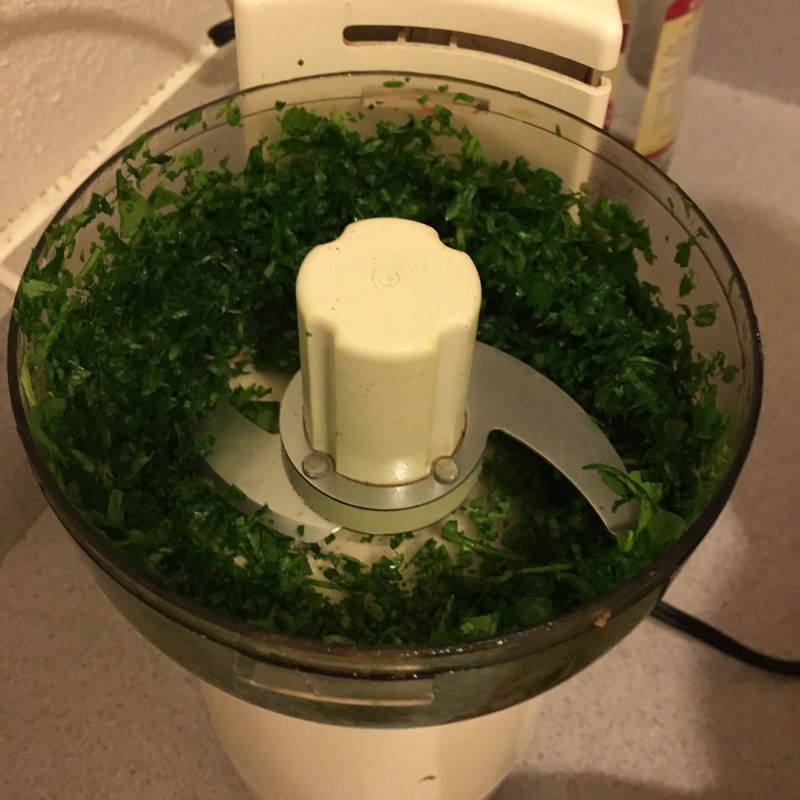 While pasta is cooking, either finely chop parsley (and spinach) or run it through a food processor like I did to finely chop. 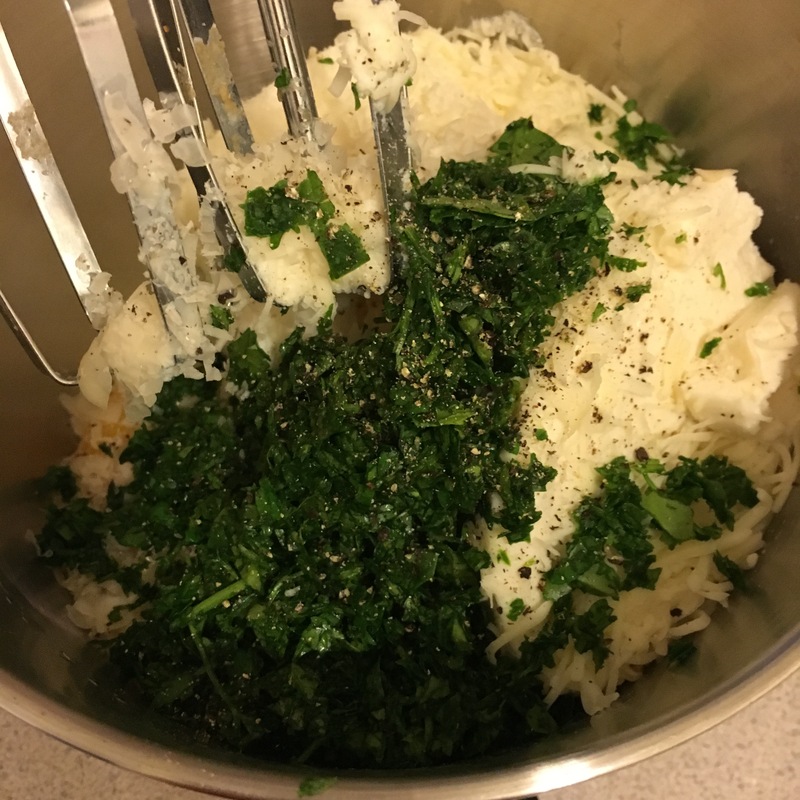 In a large bowl combine all cheese, eggs, spices and parsley (and spinach) and stir until well combined. Add 1/4 cup – 1/2 cup of spaghetti sauce to the bottom of a casserole dish – depending on how big it is. 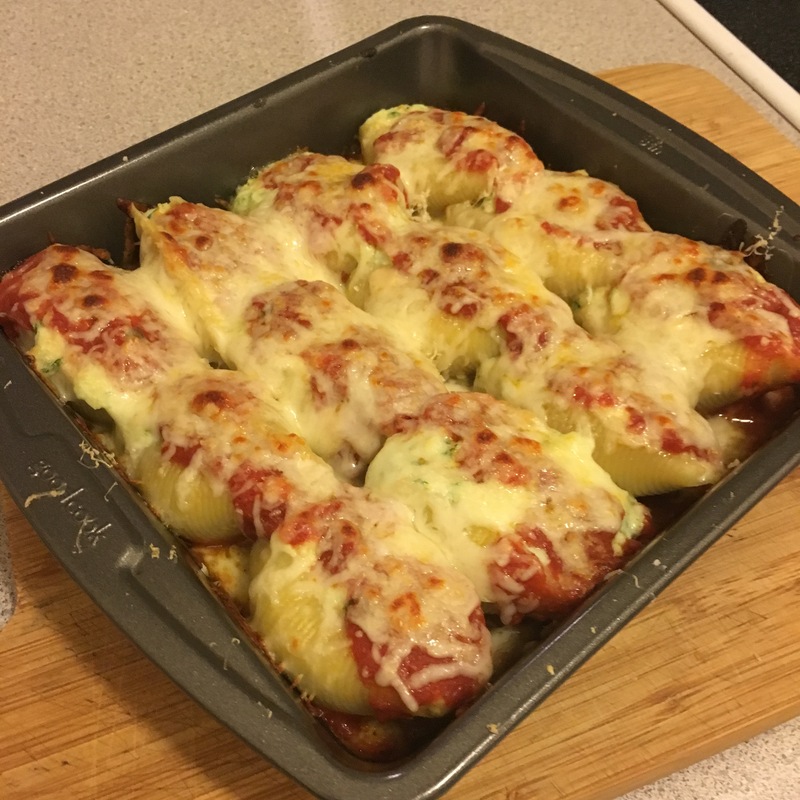 We used an 8×8 pan, but this recipe makes enough to fill a 9×13 pan WITH leftovers. 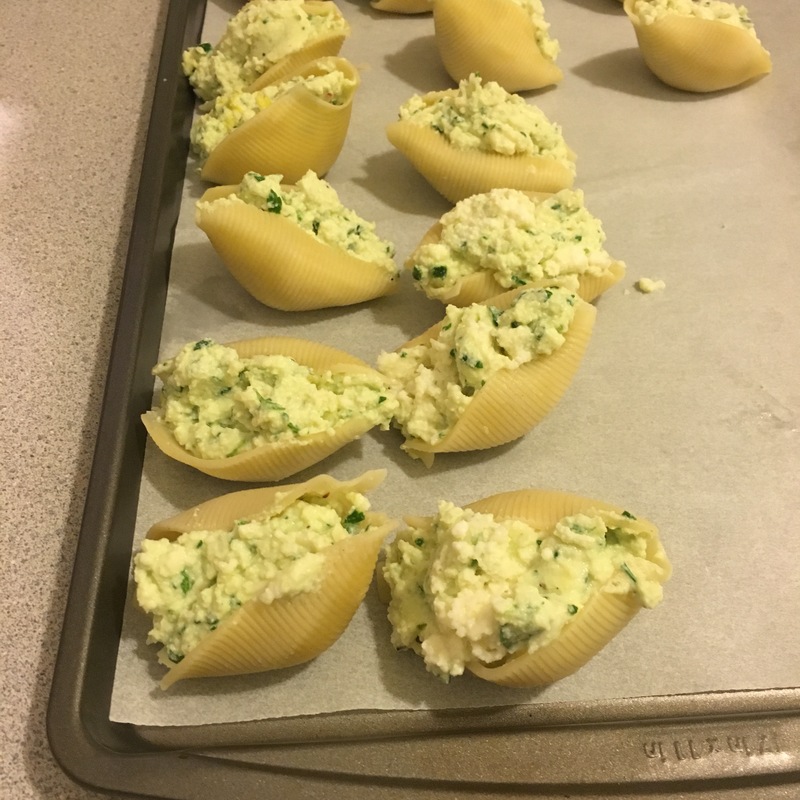 Fill each cooked shell with about 2 tbsp of the cheese filling and place in prepared casserole dish. 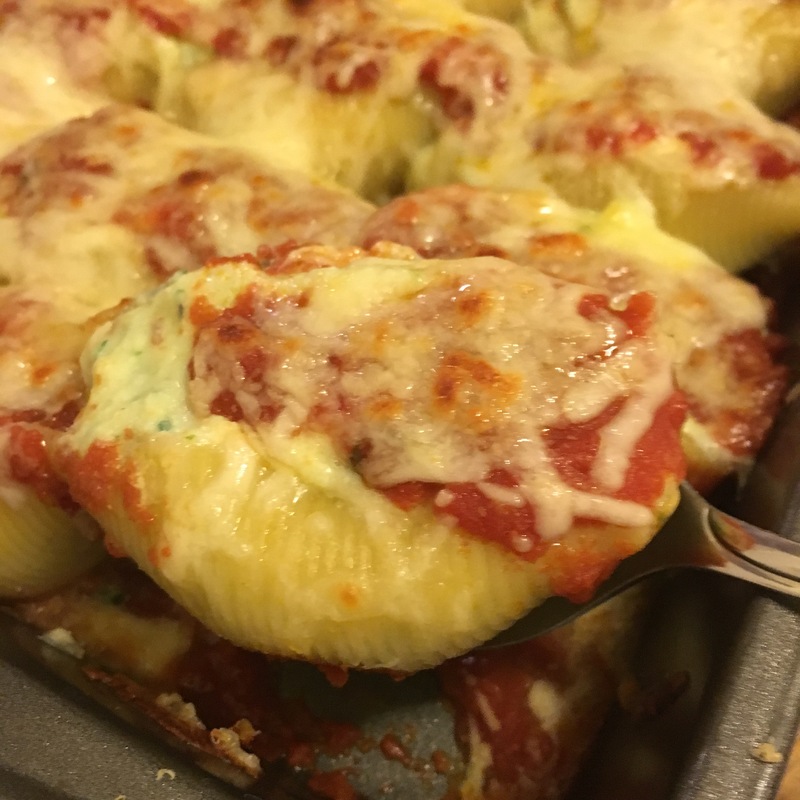 Top cheese stuffed shells with remaining spaghetti sauce, then top with shredded mozzarella. 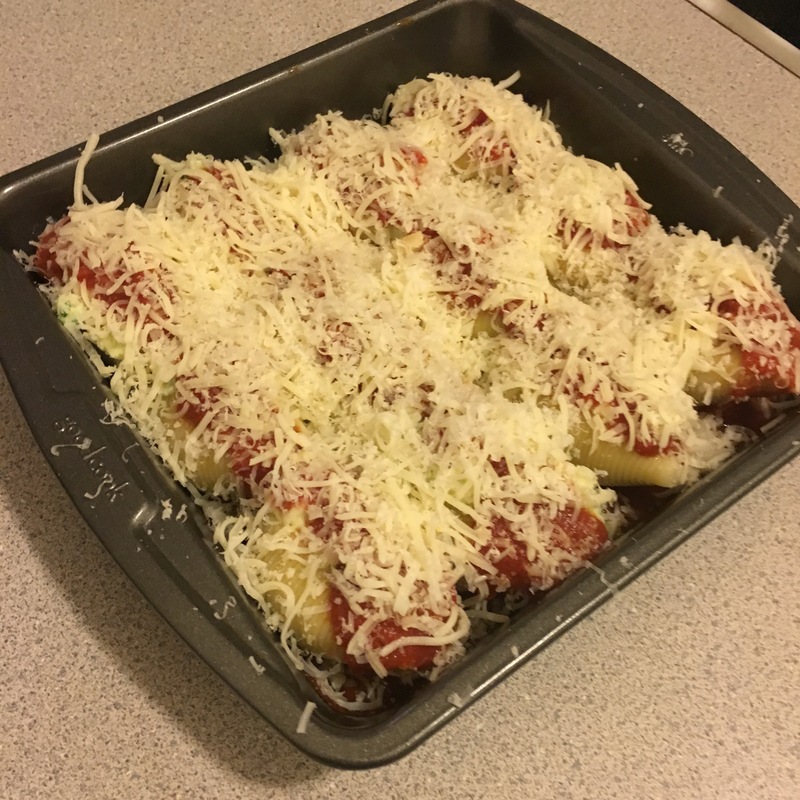 Bake for 15-20 minutes, until the sauce starts to bubble a little bit and the cheese is melted and starts to become golden-brown. Remove from heat, let rest 5 minutes, and serve with any leftover spaghetti sauce, warmed up. 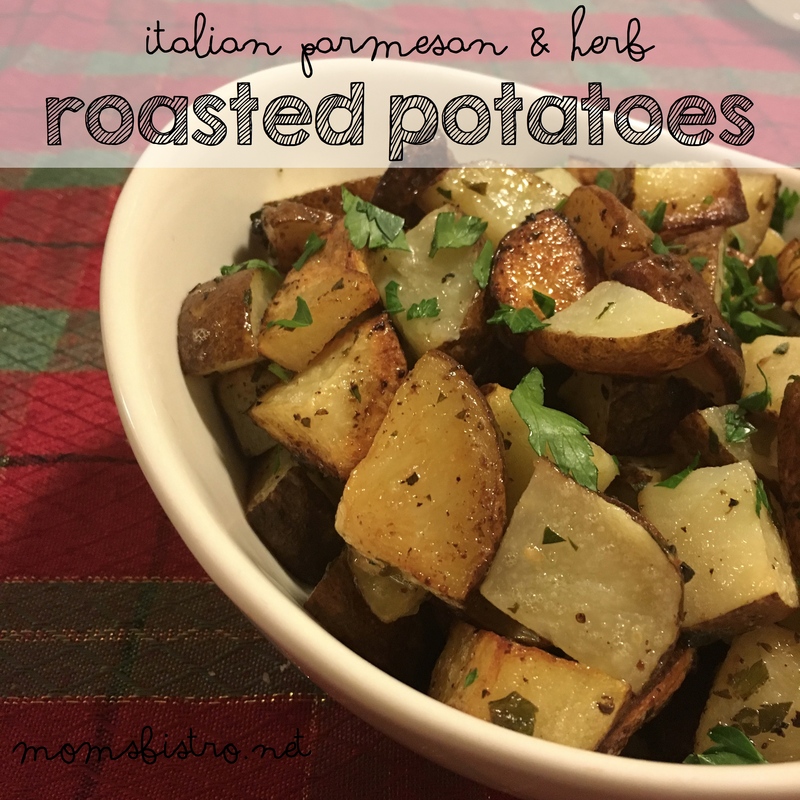 For the free printable version of this recipe, click the link below for a PDF version to add to your recipe box. If you love these stuffed shells, try one of these other Italian recipes that use Leftover Spaghetti Sauce. 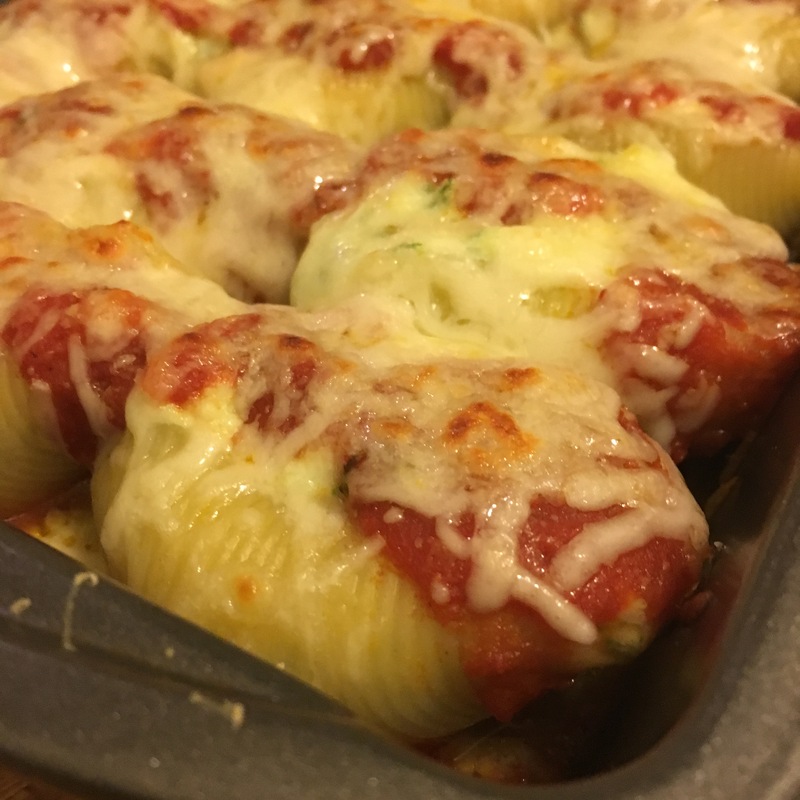 These are yummy and so easy. I was disappointed in the waste of noodles. 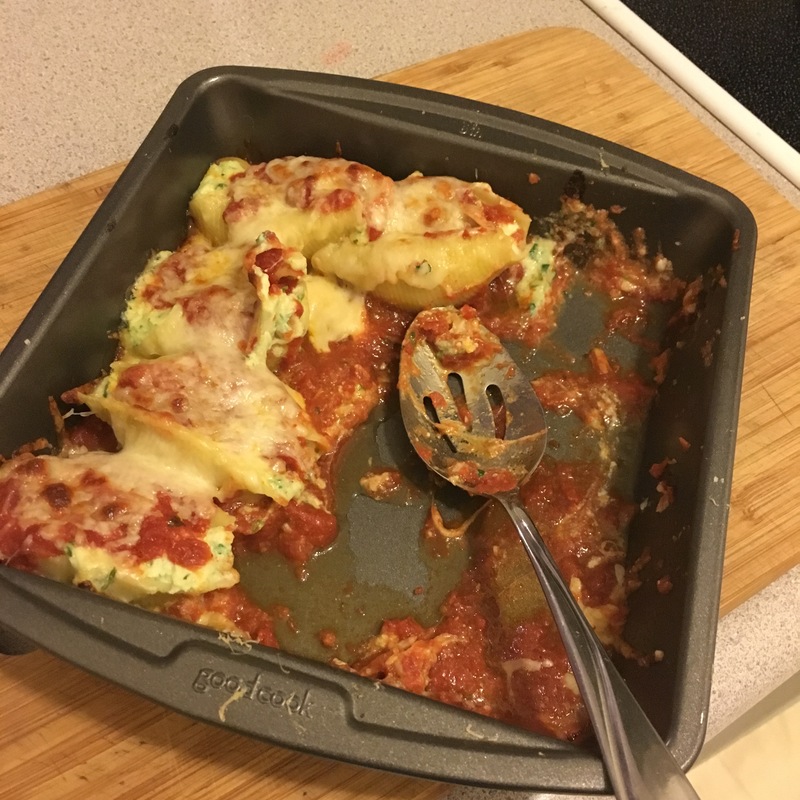 I barely got 1 pan of shells – more than half my box of shells broke apart into bits while cooking. 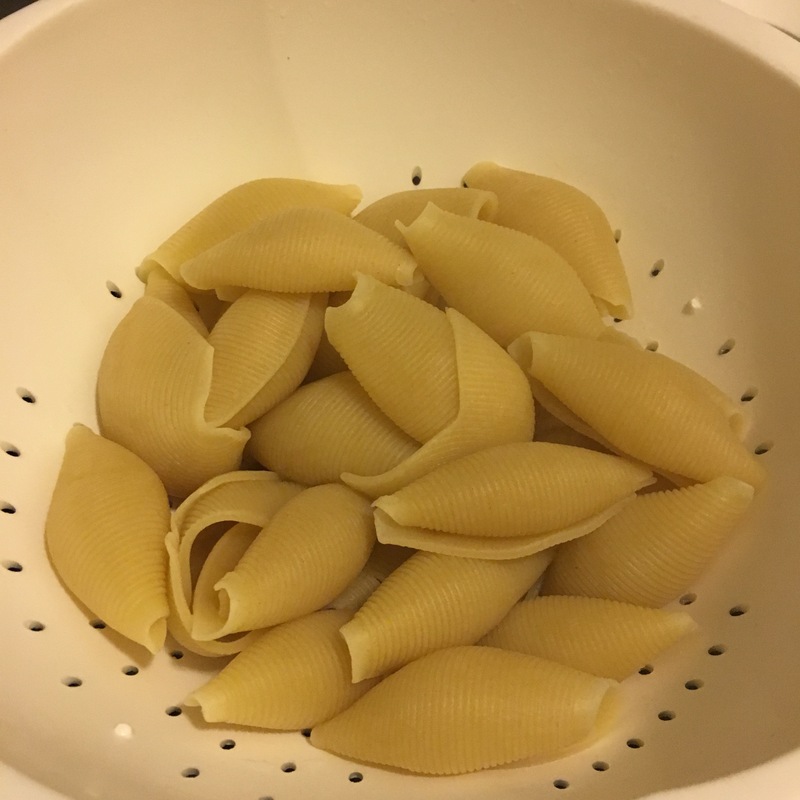 Do you end up with tons of unusable noodle bits? Loved the recipe, but I don’t think I’d make it again with this much waste. I am so happy that you enjoyed the shells! They are one of our favorites. 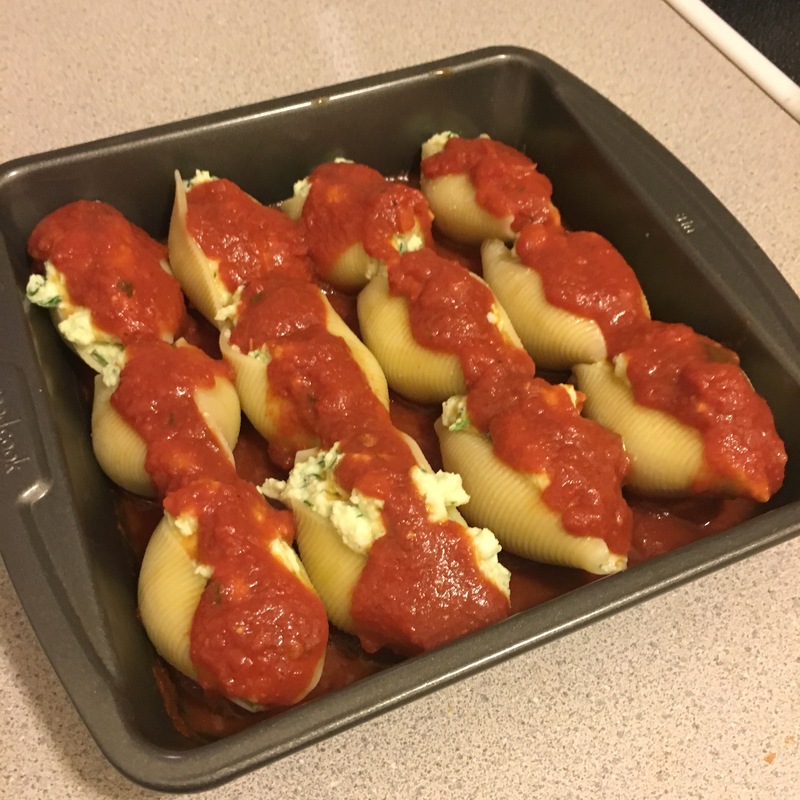 Next time, try and under cook the shells a little bit – it will keep them firmer since they still cook a little in the oven. Cooking pasta – especially big pasta can get tricky, and tends to get over cooked. Work in batches and cook the pasta for about 2 minutes less than the box directions – you should have much better results! Thanks for the tip! I’ll try under cooking next time.